Inland Fisheries Ireland has launched a Fish & Film competition to encourage young people to spread the word about fishing. Junior fishing clubs, youth clubs, projects and centres in Offaly are invited to apply to the competition by taking film footage of their fishing adventures and promoting it online. 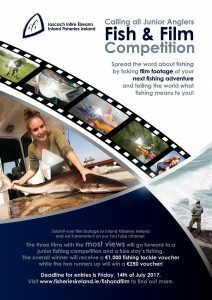 The Fish & Film competition will see entrants film a fishing trip and include fun interviews on what angling means to them. The films will be youth led in content and production with all junior anglers up to and including the age of 18 eligible to apply. All films submitted to Inland Fisheries Ireland will be uploaded onto the organisation’s YouTube channel and the public’s views on each film will count as votes! 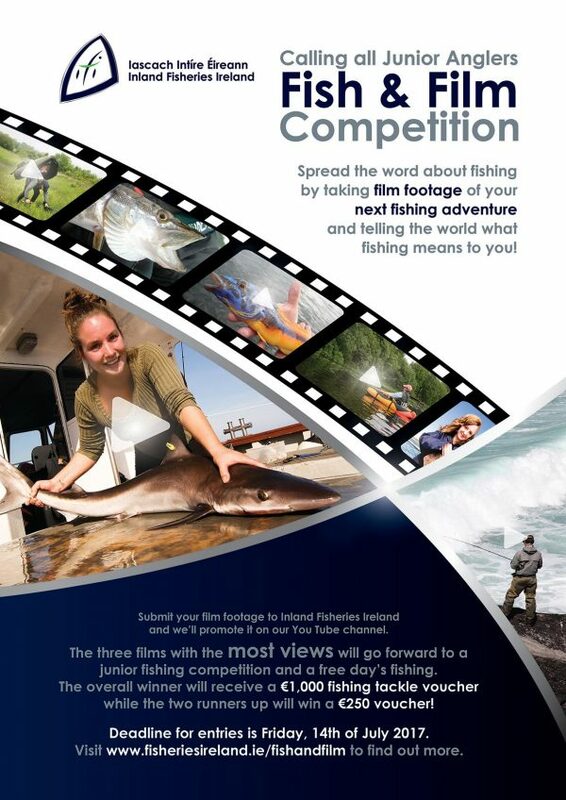 The top three groups with the most views on their film entry will go forward to a junior fishing competition which includes a free day’s fishing for all. The overall winner of the Fish & Film Competition will receive a €1,000 fishing tackle voucher for their club with the two runners up winning a €250 voucher. Suzanne Campion, Head of Business Development at Inland Fisheries Ireland said: “We want to hear from the next generation of anglers in Offaly and across the country to find out what fishing really means to them – why they enjoy it and why they think other young people should get involved. The Fish & Film competition supports the objectives of Inland Fisheries Ireland’s National Strategy for Angling Development which aims to make angling accessible and attractive to all while establishing it as a key leisure pursuit. There are currently 273,000 domestic anglers in Ireland and Inland Fisheries Ireland aims to grow participation rates by 0.5% annually. The closing date for applications to Fish & Film is Friday, 14th of July 2017. For more information on the competition and to download the competition guidelines and application form, visit www.fisheriesireland.ie/fishandfilm.